Contact lens exams are one of the most important services performed here at First Eye Care. Similar to comprehensive eye exams, contact lens exams give your doctor the chance to assess the health of your eyes and quality of your vision. 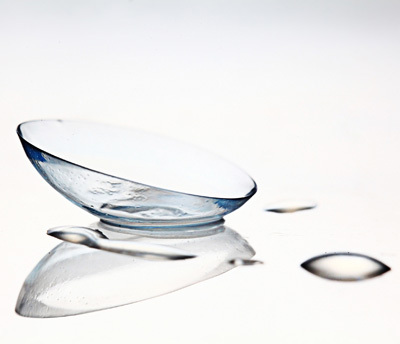 According to the American Optometric Association, an estimated 45 million Americans wear contact lenses. Over the last several decades, millions of people have made the switch from wearing glasses to contact lenses. There are many reasons for this, including the f`act that contacts have evolved over the years, providing wearers with clear vision that is comfortable and unobtrusive. If you are a contact lens wearer, it is very important for you to make sure you have the right lenses for your eyes. It is important the lenses you end up with fit both your eyes and vision properly. During the contact lens exam, we will also perform a contact lens fitting for this purpose. When you come into First Eye Care for a contact lens exam, we will perform a series of tests designed to evaluate the condition and health of your eyes and determine what contact lens prescription is appropriate. It is quite common for people to suffer from dry eye, allergies, and recurring eye infections, at which point we will find a specialty lens that addresses these concerns. A contact lens exam is not a replacement for a comprehensive eye exam, but rather an additional exam that will tell us what lenses will best fit your needs. We perform both comprehensive eye exams and contact lens exams in one appointment, making it an efficient and economical choice for contact lens wearers. When you come into First Eye Care for a contact lens exam, the first part of the appointment will likely be an evaluation of the eyes. Once this has been completed, we will discuss your options with you. There are so many different contact lens choices on the market today, so it is imperative your eye doctor learns more about your lifestyle and what your preferences are when it comes to contacts. For example, some contacts are designed to be worn longer and even while sleeping (which are great options for frequent travelers), and others are ideal for people who work on their computer all day. To learn more about our contact lens exams or to schedule an appointment, contact one of our three convenient locations in Hurst, Keller, and Roanoke.